Perhaps the most significant element to anyone facing a life-threatening disease is time. Remembering it, savoring it, desiring more of it; time becomes a luxury, a coveted, diminishing commodity that tragically, no amount of money can buy. The moments, memories, and milestones that compose a life become increasingly significant as the life itself is placed in jeopardy. Sadly, cancer poses an incredible threat to the lives of so many in the United States and around the world. 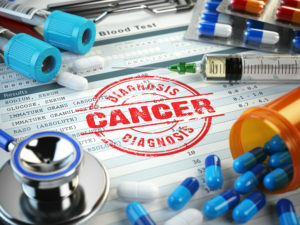 Still, perhaps more shockingly, cancer is misdiagnosed with astounding frequency, whether the diagnosis is incorrect, delayed, or never made at all. According to the American Journal of Medicine, cancer misdiagnosis represents approximately 15 percent of all new cancer diagnoses. Although some of these instances are unpreventable, there are millions more that result from the negligence of the medical professionals who are tasked with correctly identifying, evaluating, and pursuing potential threats to your health and survival. For decades, the legal professionals at Fronzuto Law Group have been dedicated to protecting and advocating for clients and their families who have suffered undue harm as a result of medical negligence. With millions of dollars in verdicts and settlements behind us, we remain on the front lines of the justice system every day, working to ensure that our clients receive the compensation that they deserve. At our firm, we see things differently, approaching each case, not as a client or a patient, but as a person. We are passionate about creating a dynamic relationship that truly epitomizes what it means to be a “counselor” to our clients. As we assist you in navigating the complex and often overwhelming journey ahead, our team will ensure that you are thoroughly informed every step of the way. To speak with one of our knowledgeable attorneys free of charge, simply contact our offices at 973-435-4551 or contact us online to find the answers to your questions. Working with relevant experts in the field and utilizing all of the knowledge and resources at our disposal, we will develop a comprehensive case on your behalf and pursue maximum compensation for your medical expenses, loss of income, and perhaps most significantly, pain and suffering. Further, we do not accept payment of any kind from you until we achieve a recovery. Nothing can replace the time that you have lost. However, we can assist you in obtaining compensation from those responsible for causing so much harm to you and your family. To discuss the circumstances of your case with a member of our skilled medical malpractice team, contact our New Jersey offices anytime for a free initial consultation. We can be reached at 973-435-4551, toll free at 888-409-0816, or contact us online.